Kundai has 8 years’ national and regional experience working in the democracy, governance and elections field with special focus on electoral processes. 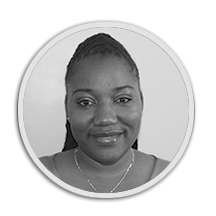 She is a Programmes Officer with Zimbabwe Election Support Network which also hosts the secretariat for the electoral Support Network of Southern Africa (ESN-SA) in which she is the focal person. Her work has included fundraising (proposal writing), analysis of political and socio-economic context, training and facilitation of workshops, report writing, election observation and coordination of events. She has experience coordinating electoral observation missions and has conducted missions with ZESN, ESN-SA and the African Union. Kundai is a semi-accredited Building Resources in Democracy, Governance and Elections (BRIDGE) Facilitator and is also a Leadership and Conflict Management Trainer (LEAD). Kundai has delivered trainings on Knowledge Management, self-mastery and women’s development for the young women’s movement in Zimbabwe after receiving training and mentorship from the Open Society Initiative in Southern Africa. She has a Bachelor of Arts in English and French Degree from the University of Zimbabwe, Post Grad. Certificate in International Election Observation & Electoral Assistance from Basque University, Spain and is in the final stages of completing her Masters Degree in International Relations from Bindura University of Science Education (BUSE).